Prof Vitaliy Khutoryanskiy continues his research on adhesion and retention of various polymeric materials on biological surfaces. 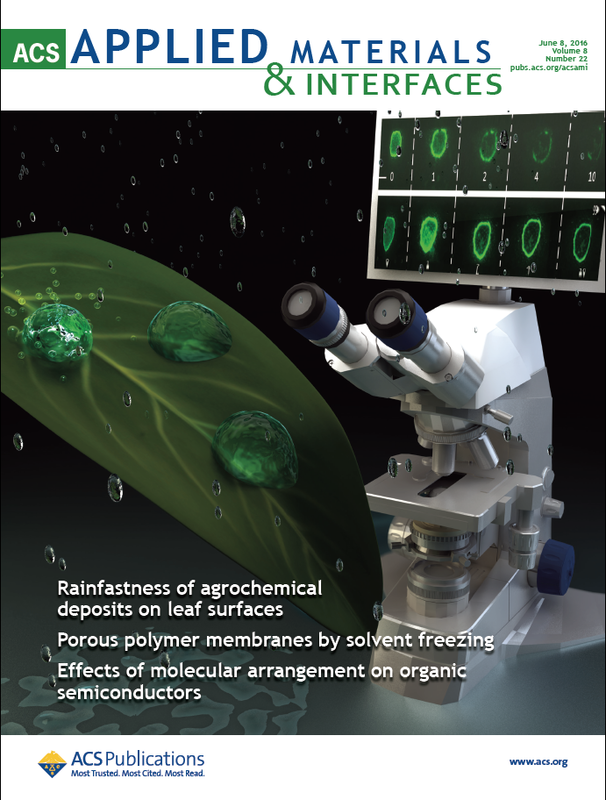 His team recently published a new paper in collaboration with Syngenta Ltd, reporting the retention of dry polymer deposits on leaf surfaces: http://pubs.acs.org/doi/abs/10.1021/acsami.6b01682 (open access). This paper discusses rainfastness, defined as the ability of agrochemical deposits to resist wash-off by rain, which is of great interest to the development of agrochemical formulations. Pesticide formulations with excellent rainfastness are expected to have better efficiency in protecting crops. This study was funded by Biotechnology and Biological Sciences Research Council (BBSRC) as a CASE studentship with Syngenta Ltd. The paper is also highlighted on the cover page of ACS Applied Materials and Interfaces.